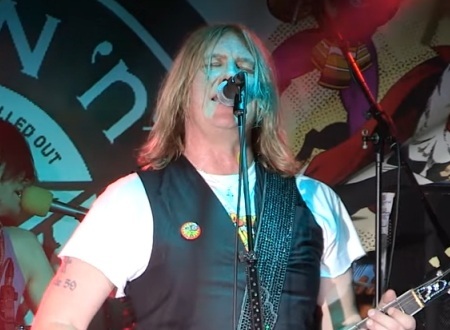 Def Leppard singer Joe Elliott's Down 'n' Outz have released a new live video for Storm from the upcoming DVD. 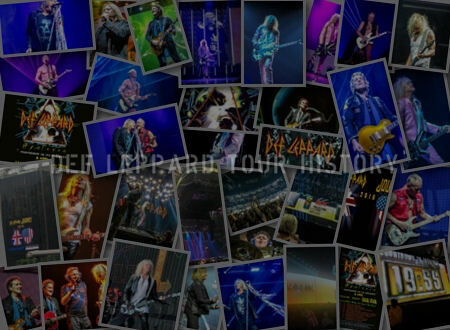 The video has been posted to YouTube by Frontiers Records who are releasing the new live CD/DVD. 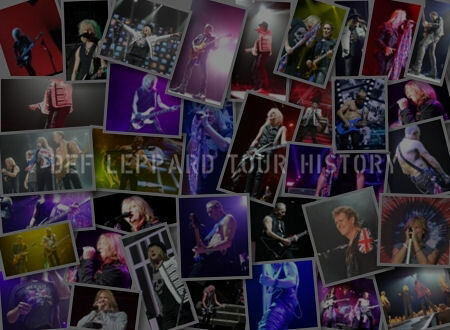 'The Further Live Adventures Of' 2CD/DVD and Blu-ray is being re-released worldwide on 1st December. Live singles for 'Overnight Angels' and 'Storm' were released at the end of October. A second live preview video has now been released for 'Storm' which can be seen below. Although the live song is six minutes long the preview video starts halfway through and lasts for 3:31 mins. 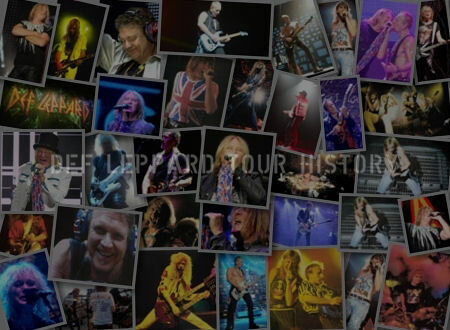 A third studio album of all original material is being recorded before Christmas for release in 2018 according to Joe's recent interviews for the Hysteria 30th anniversary in August. View all of the tracklistings below plus order links. 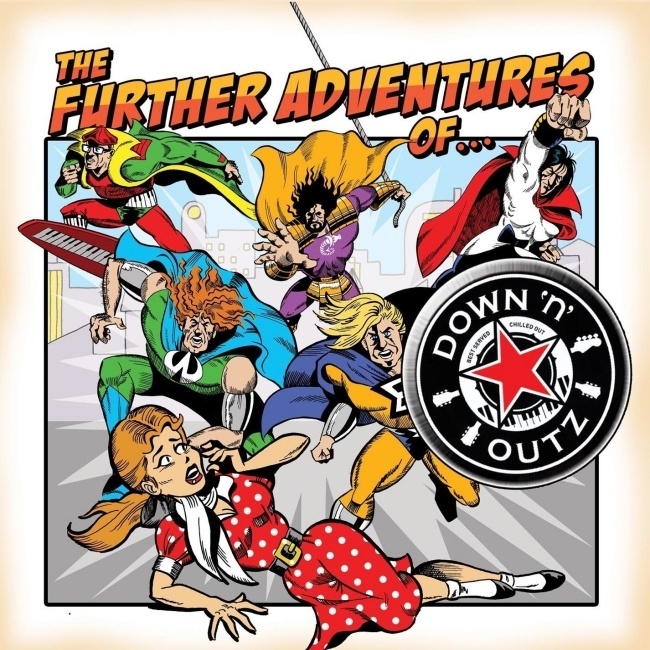 Down ‘n’ Outz are pleased to announce the release of a brand new live album “The Further Live Adventures Of …” on December 1st, via Frontiers Music Srl. The live album, recorded in Sheffield Corporation in December 2014, will be available 2CD/DVD, Blu-ray, vinyl and digital. 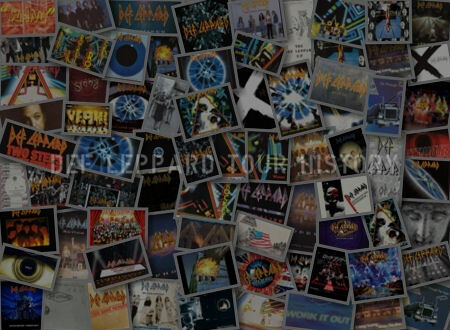 In addition, on the same day, the band will reissue their previous records “My Re-Generation” and “The Further Adventures Of …” on CD, LP and digital. 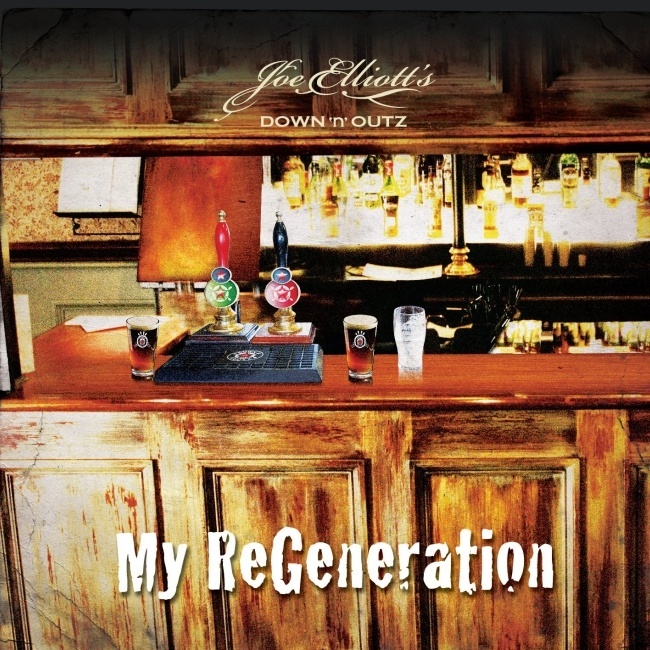 The Down ‘N’ Outz is the project founded and fronted by Def Leppard’s Joe Elliott and backed by members of The Quireboys, Wayward Sons and Vixen. The band pays tribute to rock legends Mott The Hoople and was established from the most unusual of circumstances … in the words of Joe Elliott: "When Mott The Hoople announced they were reforming for a week's worth of shows at the Hammersmith Odeon I was asked that I participate in some capacity. They've always been my favourite band and it's nice to see the rest of the rock world finally catch up and give them their due."